Learn’t a lot. Lorraine was an excellent teacher and very patient. She went above and beyond to make sure we understood, and were happy with what we were learning. I can also use most things that I learnt at work which is why I came. An excellent course for beginners. I am now comfortable looking at spreadsheets, understanding formulas and obtaining graphs from the information. Good introductory overview – we covered a lot in one day and I now have a very thorough basic understanding of navigating my way through the program. Our teacher (Lorraine) was friendly and helpful and I appreciated having a lunch voucher included. Lorraine done an excellent job of communicating the practices and teaching. I learned a few tricks of the trade, i now have a great deal of confidence for completing excel spreadsheets both professionally and correctly. I found the course extremely informative and Lorraine a brilliant tutor. I look forward to the Intermediate and Advanced courses! Thanks! Lorraine is a great trainer with patience of steel. It was a pleasure doing the course , I found it very informative and will recommend to other business associates. Good day structured well and will be back to do next level of course. What a fantastic class. The intro to Microsoft Excel with our trainer Lorraine was so helpful. I would recommend it to anyone who wants to improve their excel and computing skills! Thanks so much to the applied education team. More than what I expected in terms of depth of information covered from an introductory point of view. Will definitely be coming back for the next levels. I found the course very comprehensive for a short time. I hope to come back to understand more and learn more about excel. The class was helpful .However more time should be allocated for the activities . Looking forward to the intermediate course! Having no knowledge of computers I found this course a little fast and overwhelming for me. Lorraine is a great teacher but unfortunately the course didnt touch on what I needed to learn the most which is putting information into folders and saving them etc. Moving info into and out of folders and moving folders etc. I found this course more advanced than a beginners course taking me right through most of the functions in Excel. Thankyou, Highly recommend. Though would expect one to have more than a basic knowledge. Lorraine was patient and willing to help in any way. I found the course very informative and helpful to my needs for the job i do. Very well suited for beginners. The course starts off with the absolute basics and then progresses onto more difficult applications with the inclusion of formulas. Would definately come back again should further training be required. Great introduction to excell. It will be nice to be able to now stumble about without help from others to get work done. Lots of imformation, well presented and understood. I really understood most things you went through. Excel Level 1 really helped with todays course. Course was a great introduction to Excel and suited all learners on different levels. Great structure and selection of Excel components to teach as a beginner’s course. Great introduction to excel, I look forward to the next sessions. Really helpful and I have learnt a lot about doing things in a better way. I thoroughly enjoyed the course and learnt a lot more than I have at other Computer Courses I have attended in the City. Lorraine is an excellent teacher, very patient, and manages to reach all students at various levels. Great and easy presentation and fantastic experience. Extremely useful. Looking forward to get next level tomorrow. Beginners was fantastic and I couldnt wait to get to the next level. good, easy to follow. learnt alot! Thanks a bunch I now know how to open excel… joking. It was great and I loved it. ther is a lot of info for a beginner to take in. Really enjoyed this course. Glad was provided a book to practice with. The course had too many topics for me. I could have just repeated the formulas and practiced more. Fantastic. A huge help to our business operation. Thank you. Great cource, allot if into to take in but extremley informitive. this class was very informative! and it is very interesting. The course was great, very informative and Lorraine was a patient instructor that has a wonderful teaching style. I hope she is my instructor next week for Word introductory. Great stuff ,all that I needed. Will be back to do next corse. Great course – I really learned a lot. Good level and speed for a first time user of excel. Excellent course. Great lecturer. Would have liked to be able to follow along in the manual rather than skipping chapters. Thank you for another informative course ,plenty of information and the progress was at a good pace. Looking forward to the intermediate, thanks Lorraine.. This classed helped with a program that I initially was scared to use as it looked confusing (to say the least). Lorraine was great explained things well and went at a pace that was easy enough to ask questions and have things repeated when necessary. The learning and working through appliations at the same time was a bonus of learning excel. I had no idea you can do so much with Excel! Thanks for the patience and clear instruction. Learnt a lot. Feel more confident with excel. Very good, I have learnt things that I did not know were possible, will have to practice and review. Well taught class. Very informative and look forward to taking what I have learnt back to the office to assist in the future. Great introduction for a learner like me. Found it very interesting and informative. Great class , I learnt a lot . Would highly recommend for anyone wanting to work more efficiently with Microsoft Excel . I found the course very knowledgeable and informative. For me, if the teacher introduced each section that we were moving to would have been helpful. However, the teacher was very, very good. A very informative course indeed. Thanks so much. I am sure that I will find it helpful once I return to work. Definitely exceeded my expectations, Lorraine was great and I very much enjoyed the day overall. I gained a lot of knowledge throughout the day and we covered more than I anticipated. Definitely worth attending! Thank you so much for all the information. I now hope that everything makes sense to me at work and in my Club dealings. Now looking forward to the Excel Course. I certainly learnt some excellent tips. I hate the class room . but to day was brilliant. I enjoyed the training today. Everything was explained very well and hopefully I’ll remember it all. Should make things a bit easier at the workplace. Look forward to attending the next level. I found the class extremely beneficial. Dan demonstrated exceptional skills as an instructor and he was able to effectively target the level of knowledge within the group of students within the course. I am now looking forward to practicing my new skills and then attending the intermediate level class in the future. Additionally, the venue was conducive to creating an effective and comfortable learning environment and the staff were extremely friendly and supportive. Well worth doing. Thoroughly enjoyed the day. Great Course, very beneficial for future work and projects. Very happy with the course. Easy to pick up and follow. very interesting, had no idea what the system can actually do. and that was just the beginning…. thank you very much Lorraine, very VERY patient!!! Good tutor. Thanks Lorraine …. I had hoped to do some printing, hence he four star rating! Lorraine was a great teacher. She is extremely patient so if you have absolutely no idea about excel you should take this class as it is explained extremely well. My favourite part was learning about keyboard shortcuts and creating charts. Know much more now than I did before. easy to understand & useful. I found this course very useful, and all the chapters were explained very well. Lorraine was pretty cool. I feel I have a good grasp of Excel already but she showed me things I could have never dreamed of before. Good day. I got a lot out of it. Excelelnt course! Highly recommended! Teacher is brilliant! I thoroughly enjoyed it and I have gained so much!!!! Thank you!! Very informative. Fast coverage but very helpful. Enjoyed the whole course, very easy to follow. Instructor very patient and informative. Will return again for the Intermediate. thank you. Course was very comprehensive. Enjoyed the presentation. An excellent course, although i have only learnt the basics I feel alot more confident in my abilty to create and use spreadsheets at work. Great course, will be back for the intermediate one. Very well presented and informitive course. Great – learnt a lot of shortcuts and new stuff. Lorraine was very easy to follow and explained things in detail. Look forward to putting it into practice and creating some impressive charts! An excellent course, I feel alot more confident in my abilty to create and use spreadsheets at work. Teacher knows her stuff, however the introductory class is very very basic! So if you have the slightest knowledge of excel, I would recommend the intermediate course. Excellent basic introduction. Content was slightly below my desired level, but instructor was excellent at applying course to our specific needs. Shall return for more advanced courses. Many thanks. Very patient and accomodating to different skill levels coming into the class. She also has a passion for the subject which makes a potentially dull class more interesting. Broad excel base entry level course. Limed application for my Job task. Very useful for data entry communication and producing relevant presentation charts. We use mostly text within each cell. Tutor was very good presenting the information. I found the course extremely helpful and informative. Lorraine was a really good teacher and easy to ask questions to. Lorraine was fantastic and all the information was translated in a very understanding and enjoyable manner. Felt like this course will really help advance my skills in Excel. Lorraine was an excellent tutor today and customized all of the available knowledge of excel to be applicable to what we would find most useful and functional day to day in our work. I’d recommend this introductory course to excel to anyone who isn’t sure that they know it all as there are many things I thought I was doing right but had no idea could be done more easily and efficiently. great course, easy for anyone, would highly recommend. Lorraine was thorough in her explanations and made sure everyone knew what they were doing. I thought this course would be quite dull but not with Lorraine. Great course! Well organised, knowledgeable and patient facilitator. Excellent equipment also! Lorraine was an excellent instructor today. The Microsoft Excel 2010 Introductory course was really comprehensive, easy to follow and addressed all my learning needs. There were opportunities for questions and hands on practice which really suited my learning style. The lunch voucher was a nice surprise and the facilities were great. I wouldn’t hesitate to recommend this course to anyone. Thanks. A very informative day which covered the basics of how to use and understand Microsoft Excel. Lorraine ensured that we were all on the same page and had a solid understanding before moving onto new content and was happy to answer all questions that were presented in a cohesive manner. Thank you for a wonderful course. Lorraine was very patient and calmly took our group through the tutorial. I feel I have accomplished what I came here for today- to consolidate my early working knowledge of Microsoft Excel. Hopefully I can come back soon for the next class up in order to further my skills. There was so much information given out. I was not so quick on the uptake but questions were always asked for and answered without being judged. I enjoyed this class, learnt a lot and look forward to going and practicing what I have learnt. A very patient facilitator. Thanks for the great introductory course. A very easy-to-follow course which has allowed me to learn the basics of excel. Will recommend to others in the future. Very informative and interesting. Great trainer. Thank you. Great overview. So much to learn and remember. Practice I guess is the key. Good Facilitator. Course covered a massive amount of information in a short amount of time. Great course with plenty of helpful tips and shortcuts. This course was really great to gain basic knowledge of Excel. The Instructor, Lorraine, was very helpful in answering questions and adding extra information for our personal benefit. Lorraine asked what we wanted from the course, so be prepared! If you are thinking about the course, it is a must! Very grateful for this learning experience. Good basic beginners course. Lorraine was very patient with us and we didn’t seem rushed to get through all the content. We did only cover certain sections of the workbook though which was a little concerning… Overall happy with the outcome of the day and the highlight for me was the size of the group. I thought it was also good that Lorraine took the time to introduce ourselves and discuss what we would like to take away from the day. Very useful course, covered things i have never learnt before. Perfect amount of time to complete it and very interactive. Teacher ( Loraine) was very helpful and answered all of my questions. Overall very happy with the course. I will be back in October for the Word Intermediate course. Very useful. Learned some good basic info. Learned a lot in a short amount of time. 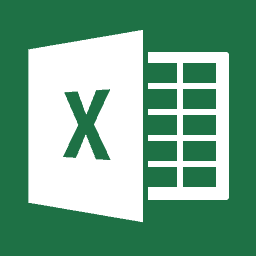 Essential basics to help build on more advanced facets of using Microsoft Excel. The instructor Lorraine, is very welcoming, patient, and explains with clarity what the processes of certain applications are. Highly recommend! Fantastic. Very well presented. Clear and direct explanation. Great facilities. Easy to follow. The course has taught be some good fundamentals of using Excel and I’m excited to put it all into practice. Keen to come back for the intermediate course later. This course was very useful to learn the basic procedures used with Microsoft Excel. Loraine was very good at explaining all aspects of what was required. Overall quite happy, have taken a handful of good techniques away from the day. Very easy to follow, a lot of great tips, perfect amount of time, I got everything I wanted out of the introductory course and more. Would highly recommend it. Lorraine was very patient with us and explained a step several times if necessary, I couldn’t absorb everything today but certainly have a better understanding of Excel and with practice will increase my knowledge. Thanks! Very happy with information from course.A lot to learn in one day and I would suggest to purchase a Manual. Great teacher, Lorraine was very patient. I have a greater understanding of how to produce a worksheet now and to fix problems when they occur. Had a really lovely instructor Lorraine who took a lot of time explaining and answering ALL questions asked of her. I learn’t a great deal, it was informative and well presented. Great course and instructor (Lorraine). I learnt quite a lot. Would highly recommend to friends and family. Course was exactly as described, Very informative, the trainer Lorraine was excellent!! Lorraine has Impeccable patients to deliver a brilliant class on introduction to exel. Would highly recommend! Good course, at time felt rushed. Great course! Taught well with a lot of patience. Will definitely come away from this with more tricks to use in the workplace. Very detailed lesson taught by Lorraine. Learnt a lot of handy techniques. Super helpful and patient with the class, and very informative. it was very clear and perfect. as it was holding everyone up. I felt other colleagues felt the same but didn’t want always to ask questions. Overall I felt I learnt but some procedures just did not get at all. The trainer was very knowledgeable and thorough in every aspect of the course. I found it easy to follow and helpful, relating to things I needed to know for my job. The Faculty Lorraine was excellent and teaches with great Patience…..
We really had fun enjoying her class. I think i came with zero Excel knowledge. I have gained knowledge and skills to take to my workplace. I am also attending my intermediate and advanced course. Very thorough and patient while teaching. Thoroughly enjoyed the course and found it very beneficial. unfortunately I have very little experience using this software and computer skills are limited so class was hard for me to keep up with regular uses. Very interactive course. Instructor was very professional and enthusiastic. I am very keen to continue with my learnt knowledge and impress my friends and assist with my kids school projects. Thanks Lorriane. Good over view and relevent. Another excellent course thanks Lorraine. Covered so much in one day – a whole new understanding of Excel! Thanks for being so patient. Great day. Lots of really useful shortcuts. Thankyou! Very informative, well explained and perfect content for the introductory course. I have gained an enormous amount from this. Thanks Lorraine. lots of new tips and tricks learnt throughout the day that i would have never knew existed. Lorraine was a great teacher, very patient and made what could have been a very long day fun and enjoyable. She is very patient ! Will certainly be coming back to complete the other Excel training courses. Thank you, learnt a lot from this course and would like to do the next one once I put into practice what I have learnt. Good course, definitely worth it. Lorraine was an amazing teacher. She was very patient and made sure that everyone in the room understood each module before moving on. I would definitely be interested in going to more of her work shops. Well paced. Learnt so much. Thanks for your patience Lorraine! Very helpful beginners course. Lorraine is a great teacher who made it easy to understand. This is the right course to go with if you are starting out with excel. I came into this course with some experience of Excel under my belt – I have never attended any formal courses but simply learnt as I went. Lorraine was a great teacher and the structure of this course was perfect. While there were some elements which I already knew, I still managed to pick up some great tips and shortcuts. So if you are like me and are self-taught, do not hesitate to enrol for this class to work on your foundation. A very good course – I learnt alot and will be able to transfer the skills to my workplace. I look forward to coming back to the next course once i have practised my new skills. Good grounding in excel, would recommend even if using excel alot before, to learn the basics and get rid of bad habits. Thank you for your patience Lorraine. Day well spent. First Rate Course… I really enjoyed it. I will be back to do the intermediate course when required. Worthwhile doing this course. I’ve learnt a lot and more importantly got a book to take home to be able to review the content at leisure. Found the course most interesting and valuable to apply to my job. Looking forward to doing the Intermediate course and using what I have learnt in the workplace. I believe I will be a lot more confident at Excel after both Introductory and Intermediate courses. Very informative and and an excellent insight into Intro Excel. Very good course with lots of handy insights. Will be able to work more efficiently at my work with this new knowledge. I found the course really good, great refresher! Our teacher Brenton was very good and kept the course interesting. The course flew by, highly recommended. Well structured and very helpful class. The course was Brilliant & better than expected. Brenton was really patient & very professional. Looking forward to putting all my new knowledge into practice now. Very good training, could learn a lot from, I would definitely recommend this place. can wait to put into practice what i have learnt at work. I really enjoyed this course. It was informative without being overloaded with too much. Very interesting. Would highly recommend this to anyone wanting to do a beginner excel course.